Welcome to Reid Traditional Schools! 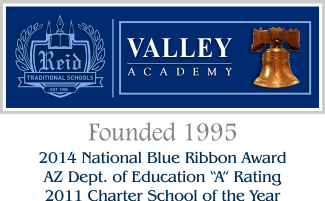 Reid Traditional Schools’ Valley Academy is one of the first charter schools established in Arizona. Since 1995, Valley Academy has offered a back-to-basics, traditional education for students in grades K-8. 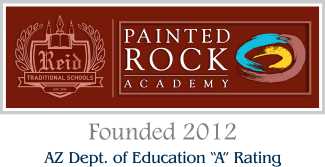 Painted Rock Academy was opened in August 2012, continuing the mission of traditional education for K-8 students. 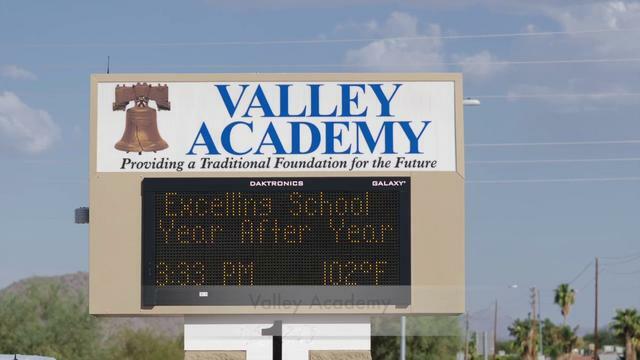 As public charter schools, Valley Academy and Painted Rock Academy do not charge tuition. Reid Traditional Schools’ Valley Academy was created by parents and teachers. Our schools respect the role of parents and value their participation. One of the cornerstones of Reid Traditional Schools is strong parental involvement and parental input in academic areas. Parents and faculty work together to create the caring, supportive environment in which students learn. Click below for Reid Traditional Schools’ academic achievement.